Dial 110 for the police if you are involved with theft, burglary, and other crime, as well as traffic accidents. Dial 119 for the fire department if there is a fire or in situations where there is suddenillness and serious injuries. Click here to print out the multi-language medical interview form. You need to fill up the form before visiting any medical institutes. When you call a medical institute, please keep calm and speak slowly.If you are unable to explain the situation in Japanese, please ask a Japanese-speaking person to call the institute on your behalf. 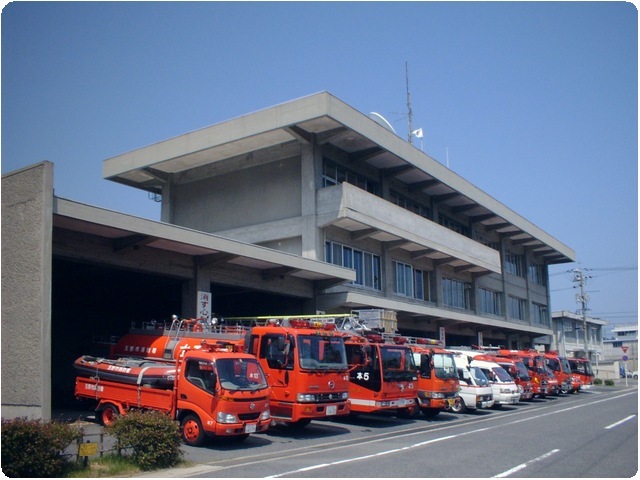 The numbers 110 and 119 are common emergency numbers that you can use throughout Japan. Please do not dial these numbers unless you are in an emergency situation. When you need to evacuate from the area after a disaster, the municipal office will warn you of the danger with sirens and broadcasts. If you hear a series of sirens in the pattern “15 seconds of continuous siren -> 2-second stop -> 15 seconds of continuous siren -> 2-second stop (repeating)”, you need to evacuate the area. Move to the nearest evacuation facility. * Please check with the Citizens’ Living Support Section of the Tamano City local government in advance if you are not aware of the location of the evacuation facilities. ©tamano city. all rights reserved.